Where have the years gone…. – Journey to my heart…. Where have the years gone…. As I journey to wellness, I have to say I am feeling younger. I know I am 41, but it has been fun to feel younger as my activity levels and endurance increases. But when I look at my post college life, and the rich experiences I have had, I often feel older than 41. My work at Sunshine Community Church, Three Rivers Area Hospital Hospice, Adoption Associates and All God’s Children International and currently Visiting Angels, time seems to have allotted me a memory bank of faces and experiences that often feel as if I have had a whole life time of work opportunity and experience. And so I feel younger in many good ways and I feel full and enriched through my work opportunities, I am fortunate and blessed. And so tonight, when I came across this picture, I was struck by the thoughts that filled my thinking. I don’t specifically remember this age, but I would guess I was in Kdg or first grade. I think of the innocence, the simple life I lived as a young child and the delight I remember feeling when I was playing. It is fun to see this picture and to reflect on me. As I do that I am thankful for God’s protection and provision in my life. I am thankful for the community of people who have surrounded me over many years. As I get older, the time since I was this young child will continue to increase, and yet, it is my hope that I never lose the connection I have in my heart when I look at this picture. 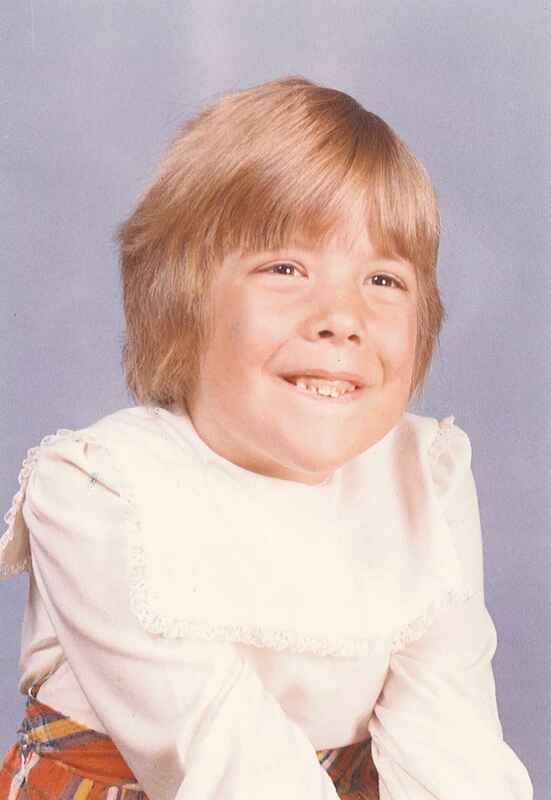 I would like to invite you to find a picture of yourself as a child. Take some time to reflect and remember and leave this picture in a prominent place for a while. Be aware of what surfaces for you and use this time to marvel at the journey God has brought you on….. Previous Previous post: Celebrating 48 years…. Next Next post: To much of a good thing….